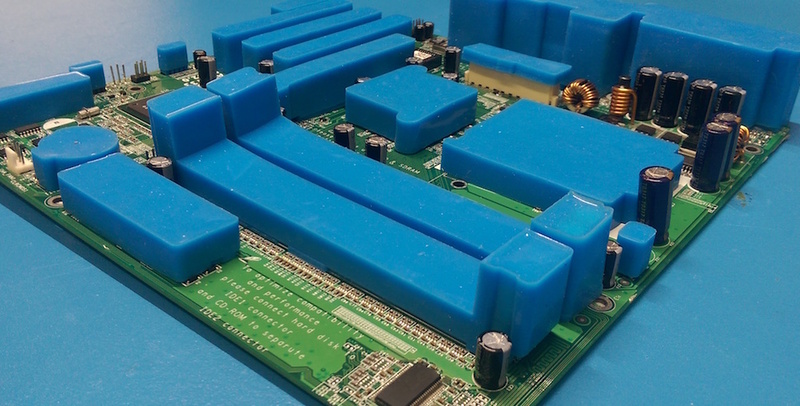 The purpose of conformal coating masking materials is to prevent conformal coating being applied to components that need to be clear and designated keep out areas. This applies to both conformal coating and Parylene processing. In conformal coating many components and printed circuit board locations must remain uncoated due to the insulating nature of the coating. If the conformal coating application process is non-selective then this is unlikely to occur and will lead to the circuit board being incorrectly coated. The masking process can be split into 4 sections. Each are examined in detail below and expanded on their own page as required. 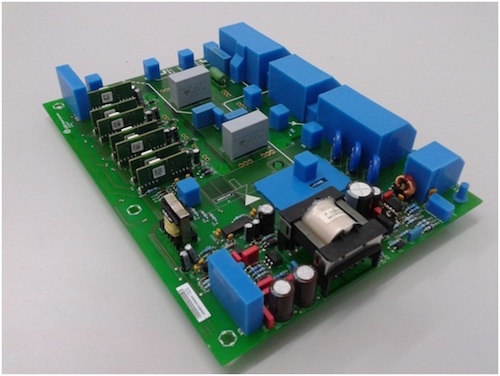 In general masking a circuit board for conformal coating can be a straightforward process. The materials selected for masking are compatible with the coatings and circuit board. In general masking a circuit board for conformal coating can be a straightforward process when the masking requirements are understood. There are several different masking techniques using different masking materials. The key issue is to know how to use the different materials on their own or in combination to ensure that masking failures do not occur. There are several different masking techniques using different masking materials. The key issue is to know how to use the different materials on their own or in combination to ensure that masking failures do not occur. 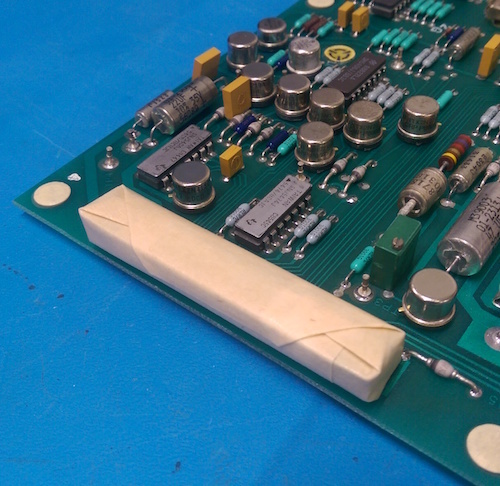 Masking dots and tapes have been used from the first day conformal coating was applied to circuit boards. It is a standard method and used highly successfully by many companies. The tapes and dots can come in different sizes, colours, levels of adhesion and material type. The key is to choose the right tape or dot for the process. 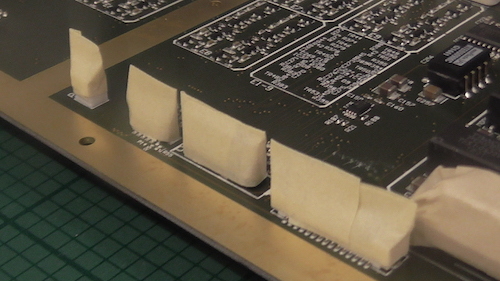 Choosing the right masking dots and tapes for your process can be crucial in having a smooth conformal coating masking process. However, some adhesive tapes have problems being used for conformal coating processing. Compatibility: Being compatible with all types of conformal coatings including solvent based acrylic, silicone and polyurethane materials so the solvents don’t react with the tapes. 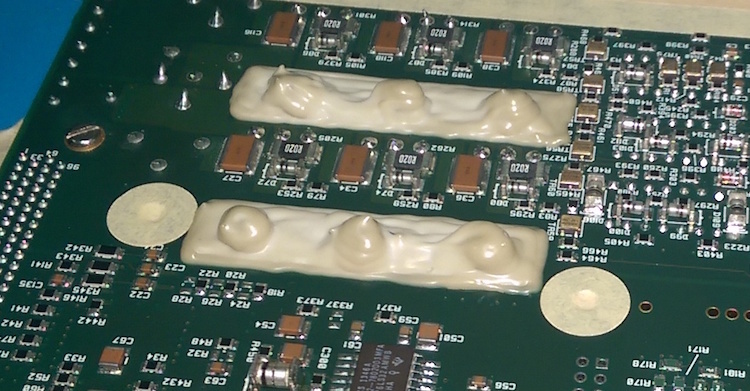 Therefore, choosing the right masking dots and tapes for your process can be crucial in having a smooth conformal coating masking process. The use of latex materials like peelable solder mask products can be a good option for masking. The liquid material is applied, using a tube or a syringe, to the circuit board and allowed to dry. This dried latex can seal effectively against ingress of coating into components. Ensure the ingredients in the latex are compatible with the circuit board. For example, natural latex can be heavily ammoniated. Check how hard the latex dries. If it is very tough it could damage components when removed from the circuit board. Further, if the latex breaks up easily when removing it you may find residues get entrapped in components and cause reliability problems. The use of masking tapes, dots and liquid latex is an effective process in protecting components from ingress of conformal coating. However, the masking application can be labour intensive, especially in higher volume applications. Therefore, recyclable masking boots can offer a labour saving alternative in both the masking and de-masking stages of the coating process. Each boot is generally custom made unless a popular part like a Molex connector is being used. Therefore, there is some investment in manufacturing the initial run of boots. However, for even small volumes of repeat processing of the circuit boards can quickly show a Return on Investment compared to hand masking especially where there is intensive labour. Are the masking requirements for the circuit board the same for dipping, spraying or Parylene applications? For those who process with these three different methods then the answer is clearly no! The dipping and Parylene processes are much more difficult and intensive processes to mask compared to spraying. 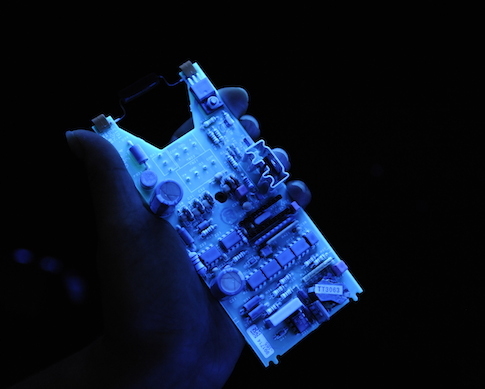 Therefore, the conformal coating application technique used can influence the masking process. For example, if the process is to be batch sprayed then the masking is more of a shield to the coating spray. However, if a more invasive process is to be used like dipping or vapour deposition then the masking required is a barrier. For dipping, the liquid floods everywhere and the surface tension of the liquid ensures it penetrates everywhere. Therefore, considering the conformal coating application process is a critical factor in defining how the circuit board should be masked and defining if the masking is a barrier versus shield system is crucial. Get this basic process wrong and it can be a big problem. The masking can fail to stop the coating penetrating into the wrong areas. 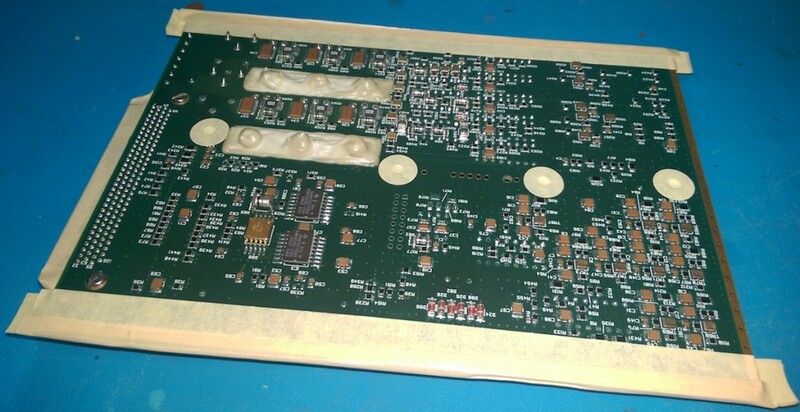 This can quickly lead to the next stage of either repairing the conformal coating leak, stripping the conformal coating off the circuit board, removing a component to replace it or scrapping the board. A full page guide is found here on practical conformal coating masking techniques.